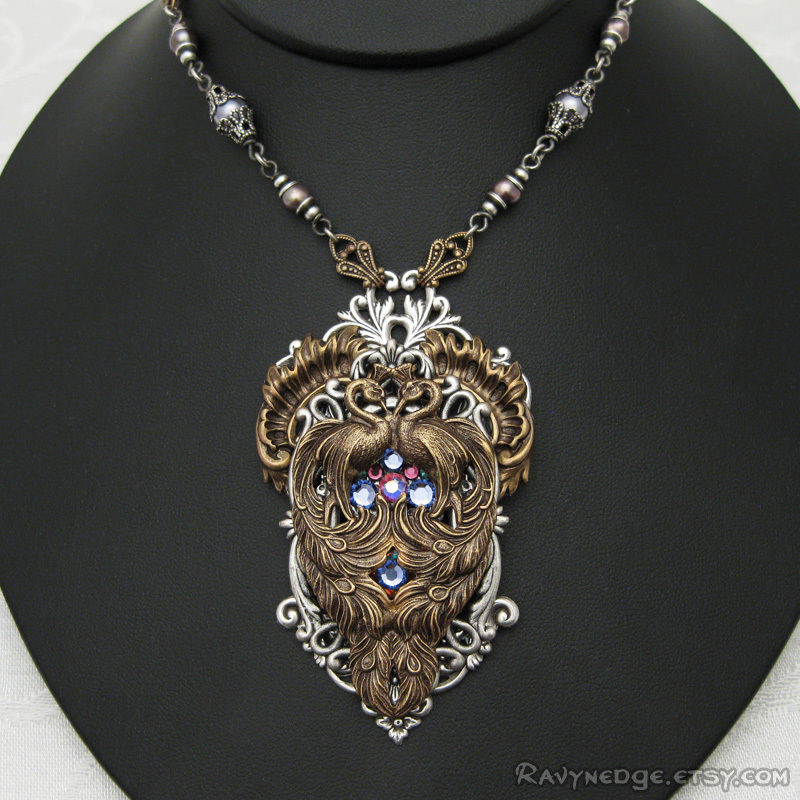 Eyes Of Argus Necklace - Brass Peacocks and Swarovski Crystal Necklace by RavynEdge. In Greek mythology, Argus was the ever watchful giant who was said to have a hundred eyes. After his death at the hands of Hermes, Hera honored Argus by taking his eyes and preserving them forever in her peacock's tail. 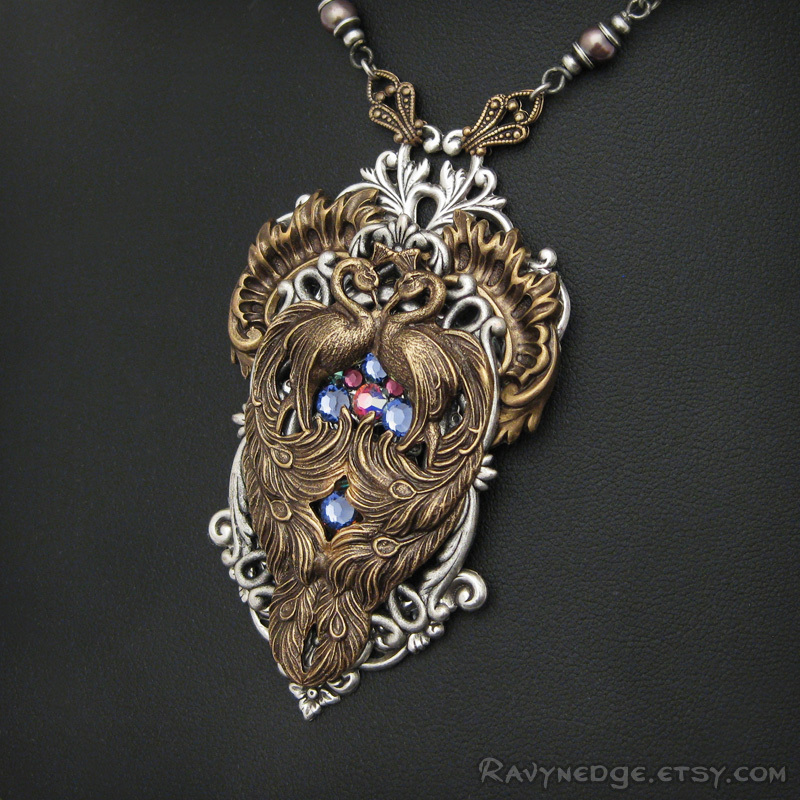 Eyes of dazzling tanzanite, amethyst, and AB Swarovski crystal flat backs shine beneath two stunning peacocks of oxidized brass. 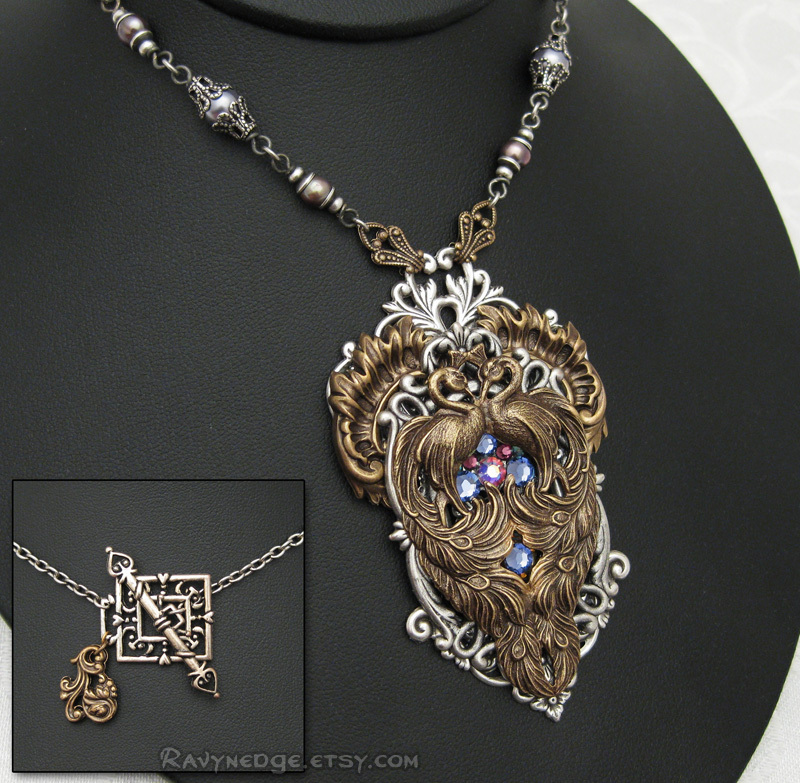 They rest on silver swirls and framed with brass roccoco flourishes. The 16 inch (40.6cm) beaded chain assembly features smoke gray glass pearls and amethyst fresh water pearls encased in bead caps and finished with a toggle clasp. 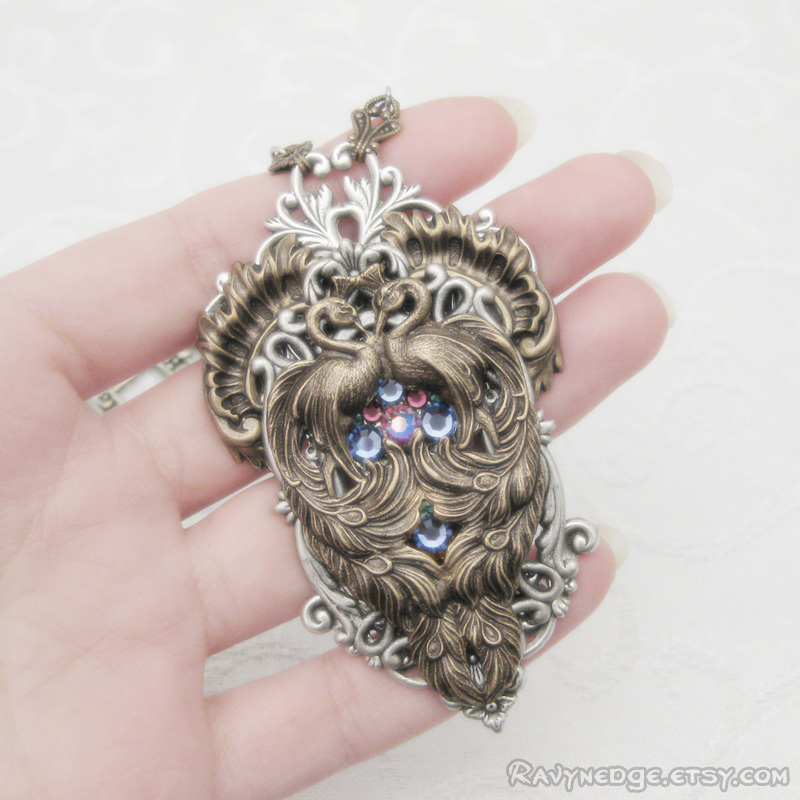 The pendant measures approximately 3 inches (7.6cm) tall and 1.75 inches (4.5cm) wide. 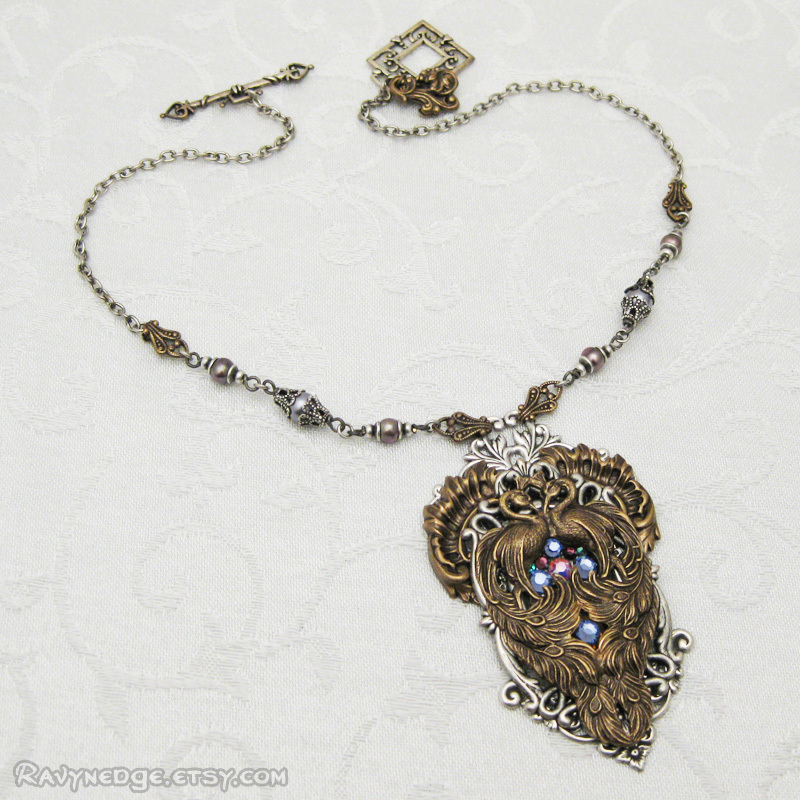 Made of brass and silver plated brass, oxidized to give that wonderfully romantic and gothic look with a vintage appeal!